#1,951 Thimblepress. 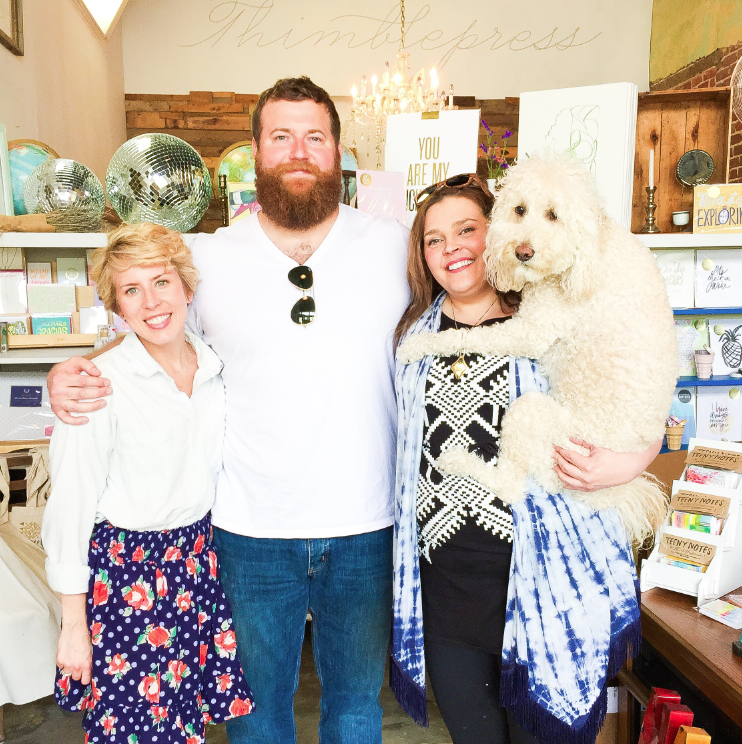 – Laurel Mercantile Co.
I’ve been really excited about today for a couple of weeks since we were finally able to find a day we could get up to Jackson for a visit with Kristen Ley of Thimblepress. You’ve probably seen her beautiful work before all around the world (on Good Morning America just last week!) and if you did, it probably made you smile because it’s all such sunny, happy stationery she’s making. As we’re preparing to launch our own retail line this fall, I thought it might be wise to visit Thimblepress to see how she’s managing her 600 wholesale accounts right there in the backrooms of her storefront (not that I have ANY intention of wholesaling OR expectations of that much success quickly!) and it was fascinating. I learned so much that I never would have without seeing it in person. Most of all, I’m thankful Kristen was so gracious with her time today. She spent all morning and early afternoon showing us her processes and introducing us to her talented and lovely team, having a long lunch. I’m learning, the longer I’m a business owner, how important it is to reach out and talk to other folks who are in your industry, to learn their struggles, to talk about how they’re coming up with solutions, to learn things you never considered. Her Christian faith is such an important part of her business and her life, and she shines that love on everyone around her—which is inspiring to be around. It’s no wonder her company has taken the paper world over. I’m not interested in competing with anyone. If we all learn from one another and pass along the things we learn along the way, the rising tide lifts all our ships, right? #1,952 CC Cream + Getting Stuff Done.